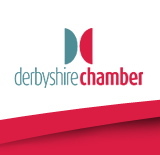 The Derbyshire (UK) Chamber of Commerce has launched a podcast series that summarises the latest changes to business legislation. The group purports to be the first UK Chamber to offer audio downloads on legislation updates. The new podcasts offer details of legislation changes that are applicable to all employers. They are divided into four topic areas: fire safety legislation updates, statutory maternity, National Minimum Wage and removing age discrimination. There is also a combined audio feed that covers all four topics. “We developed this podcast to test the market and envisage more podcasts being available for our customers in the future,” said Theresa McDermott, director of member services at the Chamber. UK legislation changes regularly, and employers are required to keep themselves up to speed on these changes to ensure that their employees are being treated fairly. To access the podcasts, from the Derbyshire Chamber website, be sure to look for the “Audio Downloads” menu option, as searching the site for the term “podcast” comes up empty.